Easter is a special holiday for many people. It's the first big holiday after winter as the days start to get longer and we look forward to warmer weather. 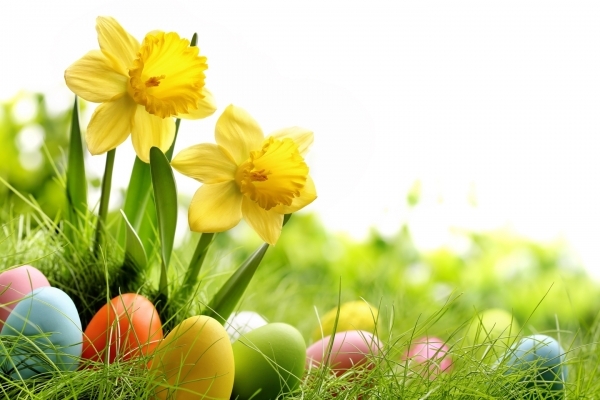 Originally a Christian holiday to celebrate the resurrection of Jesus, it has also become a popular occasion for non-Christians with beautiful flowers, Easter eggs and Easter bunnies. It's a time to get together with family and friends and celebrate with your loved ones. For all our family, friends, and customers old and new, we wish you a peaceful and happy Easter and a healthy 2018.
p.s. Why not write your own Easter tribute to friends and family?